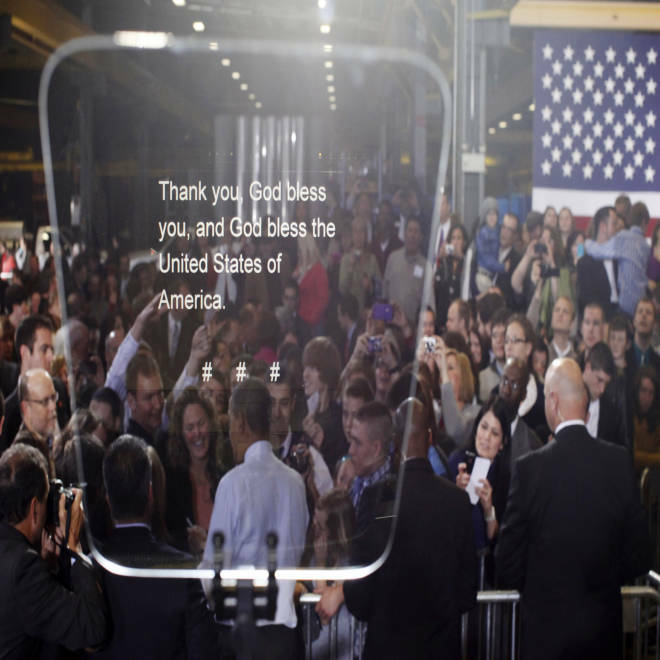 President Obama is seen through the screen of a teleprompter as he meets members of the audience following remarks in Cedar Rapids, Iowa, on Jan. 25, 2012. A Virginia man was sentenced to seven years in prison for swiping President Obama's teleprompter and a truckload full of other White House press gear. Eric Brown pleaded guilty to theft of government property in January. The 49-year-old Richmond man had a history of drug use according to court papers, and was a suspect in about a dozen other truck thefts. “If I had to sum up Mr. Brown’s character, it would be that he’s a thief,” U.S. District Judge John A. Gibney said at the Thursday sentencing, according to The Associated Press. Brown picked up the White House communications staff van from a hotel parking lot in October 2011. The man did not immediately realize whose van he had stolen until he began unloading the vehicle, prosecutor Laura Taylor said. Brown somehow missed the presidential seals on the exterior of the truck, but realized the mess his sticky fingers had gotten him into when he discovered the teleprompter, sound system, and other press office equipment, she said.